Home Canada Oil and Gas Jobs in Canada - Gran Tierra Energy Inc.
Jobs in Canada - Gran Tierra Energy Inc.
Gran Tierra Energy Inc. together with its subsidiaries (“Gran Tierra”) is an independent international energy company engaged in oil and gas acquisition, exploration, development and production. We own the rights to oil and gas properties in Colombia, Peru and Brazil. The Company's common shares trade on the NYSE MKT, and the Toronto Stock Exchange under the ticker symbols GTE. 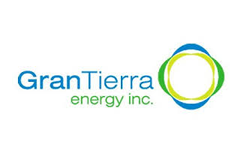 Jobs - Gran Tierra Energy Inc.